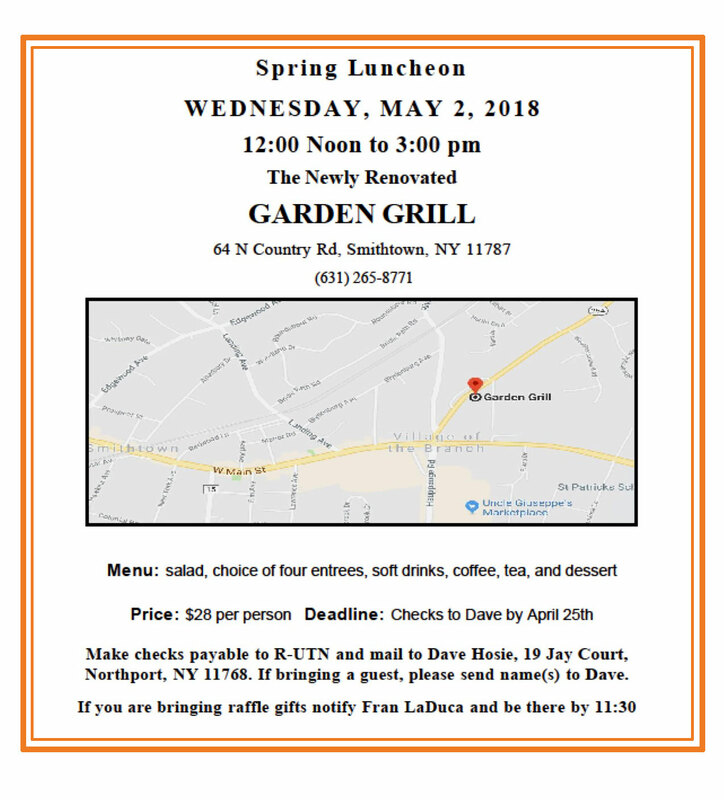 Our Spring luncheon is Wednesday at the Garden Grill in Smithown. Hope to see you all there! A call to action in Suffolk County to help elect NYSUT endorsed candidate, Steve Stern to the NY State Assembly for AD 10 in the special election on April 24. You may ask why should I bother? Even though it’s only an Assembly race, both Democrats and Republicans are spending a lot of money to win — and a win now will impact the election in November. NYSUT is asking all active and retired members to support candidates that are advocates for public education. Steve Stern is such candidate. For members in the Patchogue area – Applebee’s, 499 North service Road, Patchogue (Sunrise Highway), is hosting a fund raiser for the PATCHOGUE FAMILY YMCA, on Sunday April 22nd from 8 am-10 am. $10 breakfast includes pancakes, sausages, bacon, scrambled eggs and coffee or tea. Proceeds go to support the YMCA summer children’s programs. Come and have a good breakfast and support a good cause – open to all. The Spring 2018 Newsletter is ready to download.